I got the pleasure to be asked to guest choreograph “Be Our Guest” for Center of Performing Arts Methuen, Boston, production of Beauty of the Beast today. The kids were amazing. We were able to do all of this in one day’s rehearsal. I LOVE THESE KIDS! Enjoy……. Thank you, Michelle Michitson, for having me today! 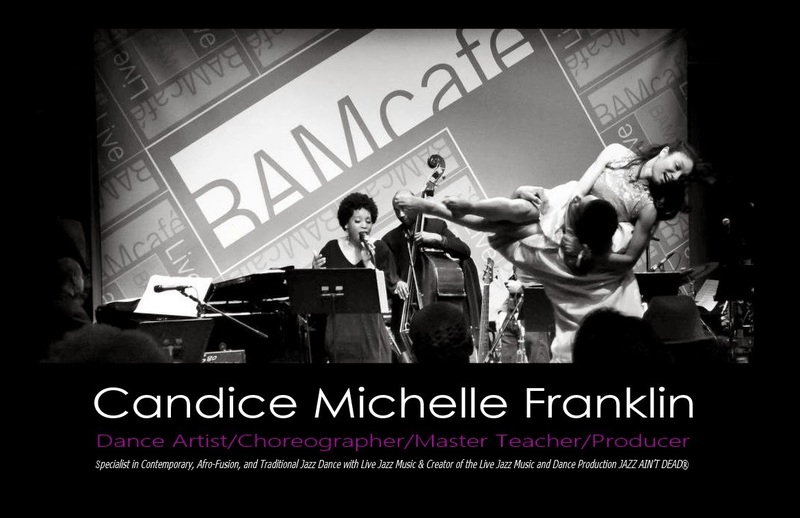 I am a Jazz Dance Artist, Choreographer, and Master Instructor in Jazz dance studies and rhythms living in New York City. I often travel throughout the year teaching master classes to talented teens and young professionals. I also produce the music and dance production, "Jazz Ain't Dead," and I am the Head Choreographer and CEO of Dance Industrial Professionals, Inc./The Pro DANZ Group. Have an Event? Need a Routine? Let’s Discuss Your Custom Choreography Package Today! 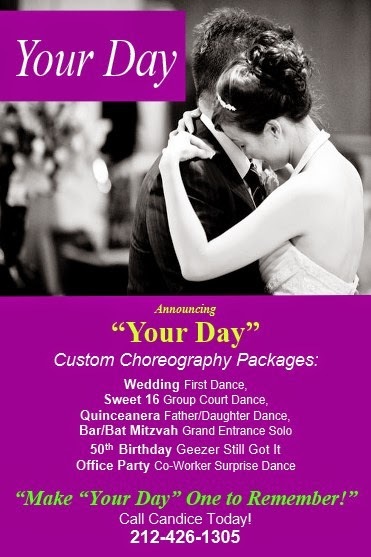 "Your Day" Custom Wedding Choreography Packages! Want to Contact Candice Michelle Franklin? Send Me a Message! Candice Michelle Franklin, New York NY, 212-426-1305. Simple theme. Powered by Blogger.